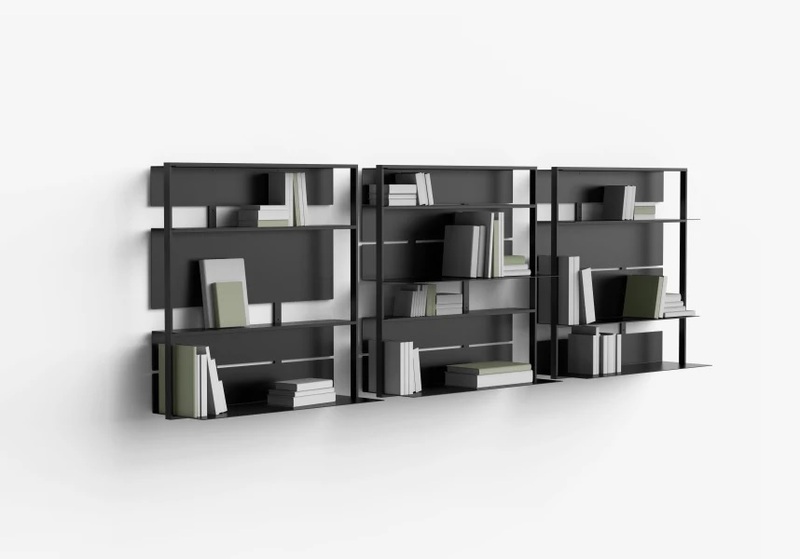 The basic structural module is a square that is applied on the wall as a visually autonomous object. However, to make the system adaptable to various ambiences and intended purposes, several modules with different proportions have been developed as well as freestanding variants. 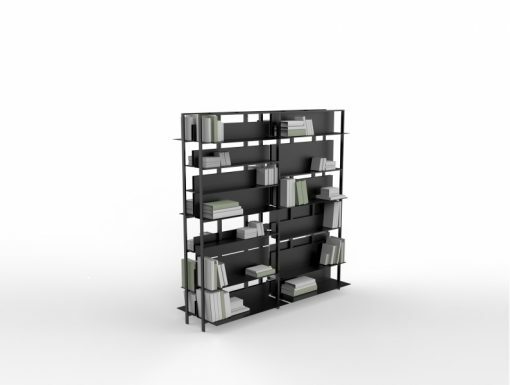 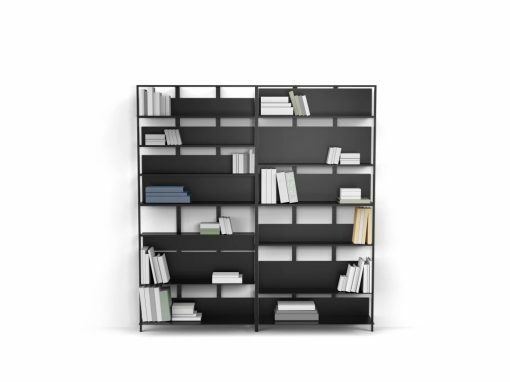 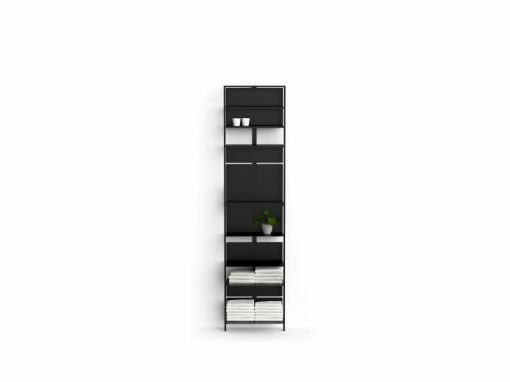 L-cross-section shelves are inserted in the structural module; they come in 3 different formats and can be used together with the rear part mounted upward or downward. 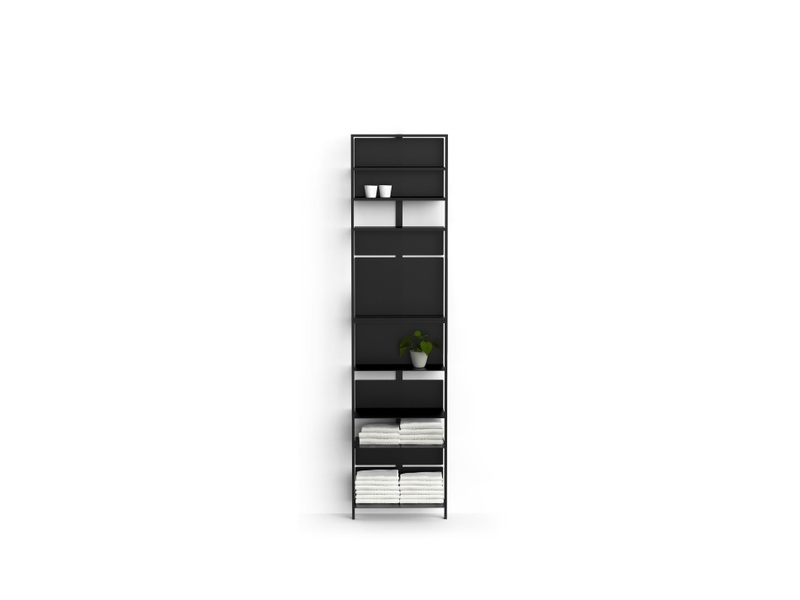 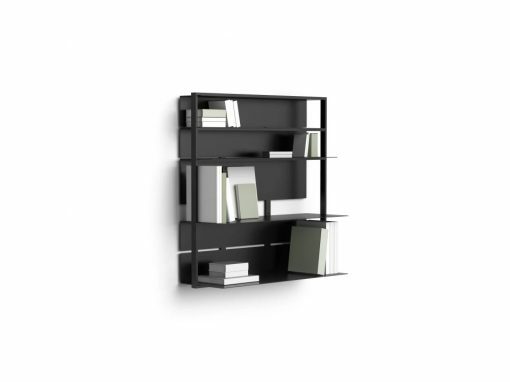 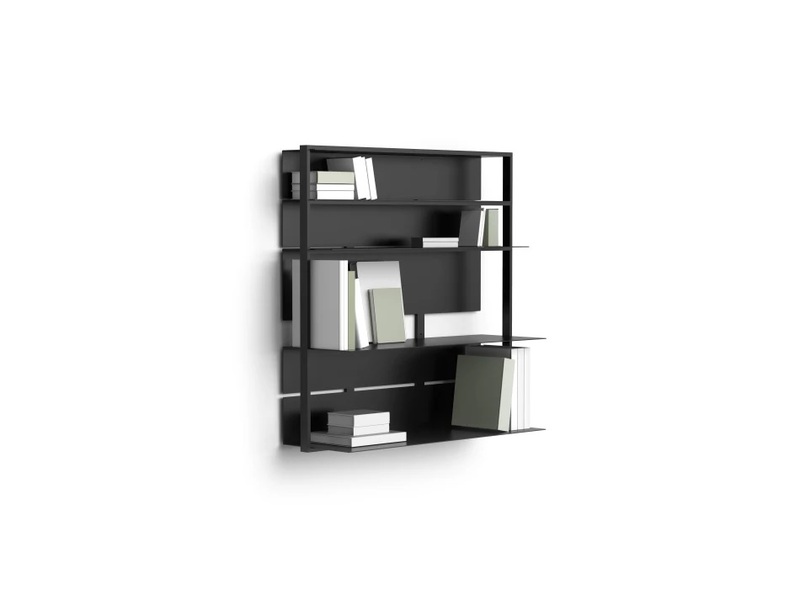 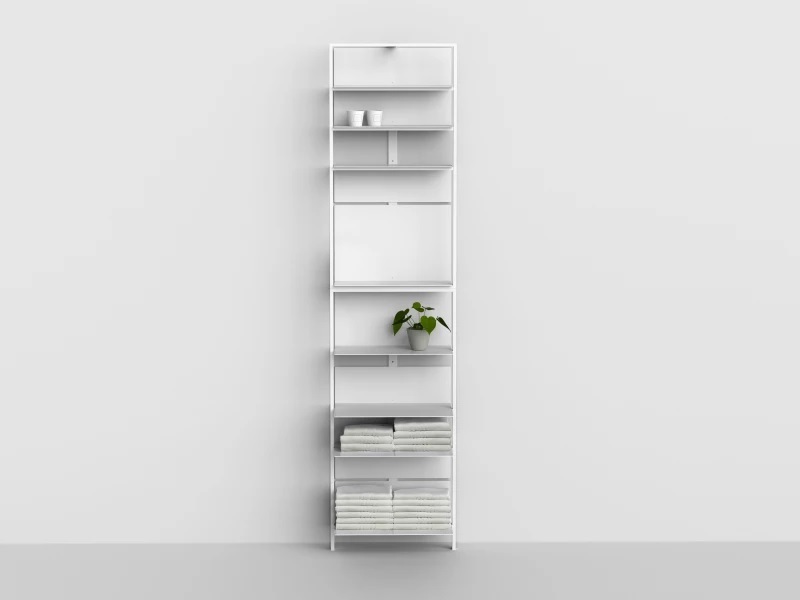 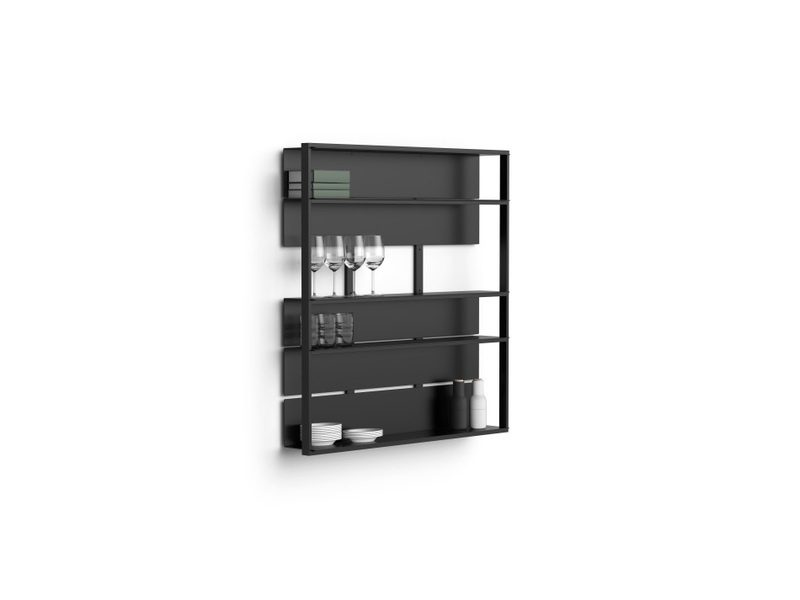 Shelf is made out of aluminium to achieve lightweightness.